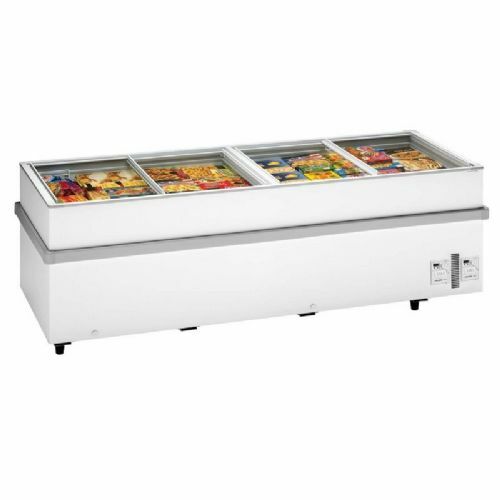 An excellent curved sliding glass lid chest freezer from Arcaboa. 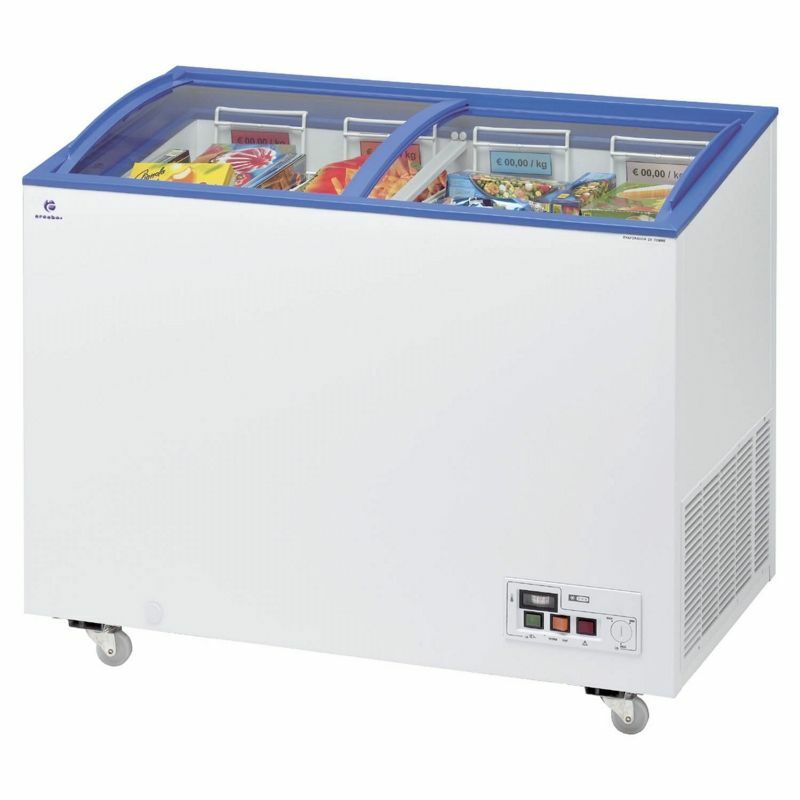 Attractive blue trim around the top of the unit and easily accessible controls and temperature display. 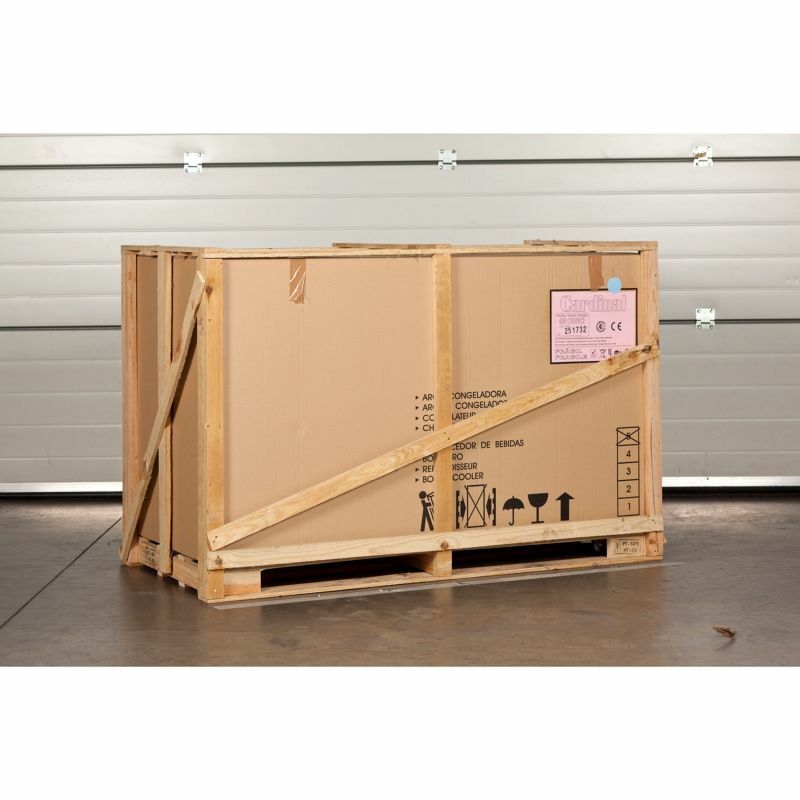 Castors are fitted as standard and the unit comes with a full set of baskets. 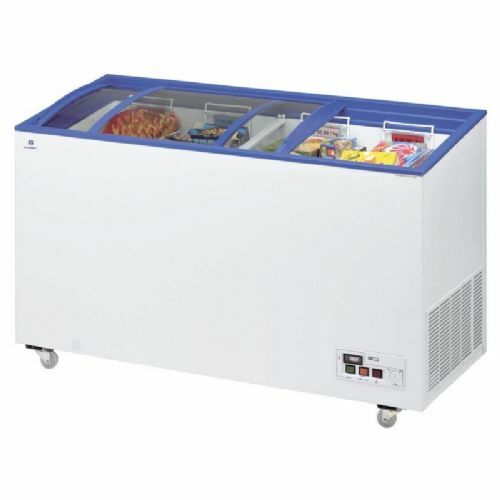 Excellent for convenience stores and freezer centres.